Sun., April 22, 2018, 6 a.m.
Washington is the Evergreen State. So why don’t Spokane’s highways reflect that? It’s not that we’re short on trees. Spokane residents can look to the hillsides and see beautiful forests of native Ponderosa Pine trees, but in our metro area, the views to either side of our highways are often more weedscape than landscape. Sure, Seattle lines everything from alleyways to freeways with trees, but we can’t compete with Seattle on a Spokane budget. A new study conducted by students at Gonzaga University, headed by Economics Professor Ryan Herzog, and funded by a local citizen has found that the use of Ponderosas for roadside landscaping would go a long way toward putting money back in taxpayers’ pockets. Many counties in Western Washington spend nothing on weed control along their highways. These counties have successfully managed noxious weeds through planting native vegetation. But the story is much different here. Spokane County has the highest weed management expenses in the state; from 2014-15 the state spent $800,000 on weed control. We pour money and chemicals into those unsightly weed patches, but we are left with little more than a barren view of wasted space. First documented by science right here in Spokane, it thrives in our region. Once established, it requires no additional water, no chemicals to keep it healthy and no expensive maintenance efforts. Critically, it also creates a hostile environment for weeds, spreading grasses and other undesirable natural growth that would otherwise require chemical mitigation. 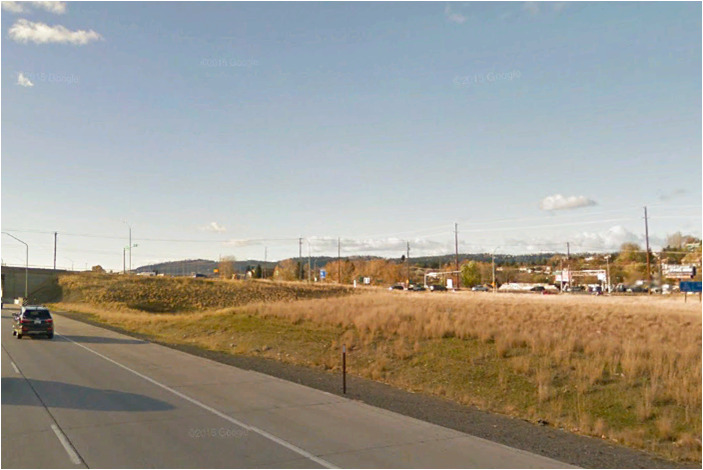 The economics are particularly striking when it comes to planting Ponderosas along new and rebuilt highways, such as our region’s North Spokane Corridor freeway. The cost savings begin on day one when compared with the expenses associated with hydroseeding non-native, weed-susceptible grasses. As an example, look at the Havana Street bridge. This was a $20 million project that resulted in a functional but joyless eyesore of an overpass that will require weed abatement every year. For an initial outlay of $4,000 (a mere 0.0002 percent of the budget), the bridge could have been planted with Ponderosas. Within a few years, the maintenance costs on those trees would have dropped to zero. Planting with Ponderosas provides other advantages, of course. According to the WSDOT, roadside vegetation offers a host of benefits to the environment (water quality, air pollution mitigation, wildlife habitat) and the community (traffic calming, beautification and even stress reduction). The Spokane City Council’s Resolution No. 2016-0032 supports the increased planting of Ponderosa Pines along the highways of the Greater Spokane Region. This forward-thinking strategy uses our city tree to save taxpayer money, beautify roadways and strengthen our regional identity. We urge the Washington State DOT, as well as the Spokane County Commissioners and the city of Spokane Valley, to follow suit. After all, Spokane is not a Midwestern or Eastern city. Our city is a vital part of the Evergreen State. Spokane developer Larry Stone, of LB Stone Properties, is currently involved in The Falls, a $60 million project on the old YWCA property. Published: April 22, 2018, 6 a.m.